Aliens Conspiracy theory Government Science Technology Are Aliens behind the World Government? 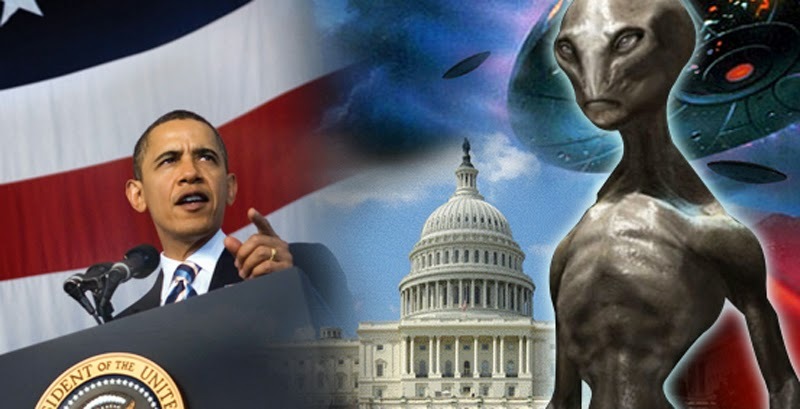 Are Aliens behind the World Government? The New World Order is a One World Order with a hidden agenda to rule by fear, control, exploitation and bullying. The ruling elite of the world’s wealthy, powerful and influential have been pushing for a New World Order with a One World Government under the pretence of establishing world peace while they are in fact imposing their will upon every nation. They call themselves the "peacemakers" but in truth they are an international police force which organized "war crimes" tribunals, supposedly to give the "political criminals" a fair trial before persecuting them. The speed of its emergence has taken a quickened stride in the last three years, with one planned event after another taking place in various parts of the world in order to test and exercise the power of the would-be New World Order under the leadership of self-proclaimed, "high" moral standing personnel with the backing of a powerful dictatorial government. At present, while the current push for a New World Order appears to be under the control of an elite group of Anunnaki Remnants which I call the "Vulturites", the real control is under the more cunning group of Anunnaki Remnants, which have been called the "Reptilians". These two groups of Anunnaki Remnants are in perpetual conflict with one another. However, for the time being, the Reptilians are purposely backing off to trick the Vulturites into doing the dirty job of setting up the New World Order before taking it over from them when they feel the time is right. Every day when popular programs are aired on radio, movie screens and especially on television, people are exposed to the risk of being programmed subliminally through the flashes of light, camera angles used, words uttered, musical accompaniment etc. to "think" as the Anunnaki Remnants want them to "think". However, there is a small minority amongst the population in human bodies, especially those with alien ties, who have stronger WILL than most to resist such programming provided they do not give in to the ruling elite’s threats, bribes etc. The minds of people are currently being altered. The minority of the population on Earth who are resisting the "controller" are currently under surveillance. This minority group contains those who openly or quietly resist the so-called conventional and popular beliefs. They are not without the assistance of a Force which is fighting the Darkness of the "controller". Soon, this will become obvious. However, not everyone who is engaged in resisting the "controller" is of the Light. The upper echelon cannot sort out the actual plan because it is built upon lies within lies within lies. Even the highest echelon on Earth are not the ultimate conspirators, they are merely following orders from their "controller" who is not in a physical body. The minions unknowingly follow the plan to its inevitable conclusion because of programming and other factors. Further, those of a Dark essence will naturally gravitate towards compliance with the Anunnaki Remnants’ agenda. Unfortunately, there are always some good beings who get trapped in these movements. Hence, those who promote a global community are really assisting the "controller’s" plan, whether they are conscious of this or otherwise. The "controller" has an "elite guard" of fighters who are called the "Rumblers". These Rumblers rarely left the "controller’s" side in the past. They were only used in desperate situations. However recently, a few of them have arrived on the planet to try to block the Attas, (The Rescuers of the Light, The Amoebas) who are in combat with the "controller" and all its minions. Soon, the Rumblers will arrive on Earth in numbers. This will be a time when the battle between the forces of Light and Darkness will be in heightened conflict. The release of the Rumblers shows just how desperate the "controller" is becoming, especially since the "controller" is compromising its own protection by releasing its elite guard onto the planet. The Attas are the targets of the Rumblers. The average person could not withstand assaults by the Rumblers; however, the Rumblers are no match for the Attas. Many of these Attas have arrived as "walk-ins" on Earth in humble positions, in female and male human bodies. There are many examples of mass mind control tests upon the population of Earth. One such example is the case of Diana Spencer. To the unaware, it appeared that her death had touched their hearts, but this was not the case. They were in fact programmed to respond with an enormous outpouring of emotions, grief and distorted views about the deceased. Most of these people did not even know her, nor did they have any ties to her. Little do the people suspect that emotional energy they spent was being sucked out of them and collected by the "controller" for its own selfish purposes and agendas. Imagine the vastness of the mind-control project necessary to condition so many millions into "spontaneously grieving" for the deceased. On the other hand, when United States President John Kennedy was assassinated, there was an outpouring of grief and emotion, but some of the grievers were Light beings who sensed that they had lost a dear friend on this Earth. His death was felt by all the Attas parts in one way or another. However, his departure was expected by the Attas, and no attempt was made by the Light to try to prevent it for a very good reason. This was true grieving by many. The emotional mass programming by the ruling elite was only in its infancy at the time. As another example of mass programming, the "controller" can now summon up millions of protestors to spout whatever slogans are desired to bring about a desired situation. And, yet, on the surface, it appears that the actions of the protestors occurred as an understandable and even reasonable reaction to a particular situation. In reality, the protestors are being programmed and used by the ruling elite to allow them to implement a particular plan. In the near future, travel will become even more restricted than it is today; internet services could also be restricted. The time may come when internet services will be available only to certain ones using frequencies that will be unavailable to the population at large. Wars, revolutions, famines, epidemics, recessions, depressions, major catastrophes and casualties, bombings, murders and other meaningless destruction and sometimes even natural disasters are planned by the "controller" for its own agenda. There was a document released entitled The Report from Iron Mountain which was commissioned by President John Kennedy in August of 1963. Kennedy was overshadowed by an Attas consciousness (he had to play a double-game with many Anunnaki politicians in order to be accepted by them and be elected President of the United States), and while there were some reports about him that are not particularly complimentary, most of these are contrived or exaggerated by the ruling elite, who also sponsored many of the libels. This is much like what was done to Thomas Jefferson, another Attas consciousness. Kennedy was assassinated three months after commissioning the report in which he was about to expose the warmongering mindsets of the people who are in control of the world. The stated purpose of this report was to consider the problems involved in the contingency of a transition to a general condition of peace and to recommend procedures for dealing with this contingency. This report, which was published three years after Kenney’s death, reveals the darkest recesses of demonic minds. It is filled with openly revolting revelations from many different political appointees about what is really on the minds of the ruling elite. In short, it is disgusting. Even though the report was leaked, it was never intended for public reading. Many means of denial were employed to attempt to invalidate this document because the American government understandably wanted to distance itself from the report. Editors of newspapers were recruited and supposed authors came forward to claim they wrote it as a satire. It is hard to imagine that this document was intended as a satire, as it is devoid of humor — express or implied. Likewise, it is difficult to accept that a single author could be responsible for the extremely different styles and energies contained in the paper — not to mention the vast knowledge necessarily required to have written the document, which would not be available to a single person as even the higher echelon of the ruling elite have only fragments of the total plan. "Is the abolition of war, in the broad sense, really possible?" In analyzing the query, the paper states that stability of society is the common assumed objective of both peace and war. Amongst other things, the paper dares to argue that were the war-making machines halted, all of the money saved would have to be rapidly consumed or else the people would have too much wealth, and become too cocky and difficult to control. Therefore, it was presented that in order to maintain stability it would be necessary to keep the people poor. The paper presented several wasteful programmes to dissipate any extra wealth that peace would bring to maintain economic control over the population. "Wars are not ’caused’ by international conflicts of interest. . . . war-making societies require — and thus bring about — such conflicts." The report also concluded that: "The basic authority of a modern state over its people resides in its war powers." When considering the report one begins to realize that since it is impracticable for everyone to be at real war, there are mini-wars throughout the society. Families are but microcosms of nation states with their miniature struggles for power and control. People within families use varying tactics for seizing power and control, whether it be done via manipulation or oppressive violence. Sports are another substitute for war, where the participants are actually putting less energy into the contests than the followers of the various sports. In a sense, sports are the poor people’s wars, where millions will buy a strong conflict instead of the billions or trillions necessary for all-out-nation-state wars. "In a broad social context, ’an eye for an eye’ still characterizes the only acceptable attitude toward a presumed threat of aggression, despite contrary religious and moral precepts governing personal conduct." This repulsive attitude continues today, and in fact has escalated with a huge percentage of the world’s population being programmed to support the "eye for an eye" attitude. The ruling elite is worried that if there were no wars, they could lose power and control over the people. Hence, they believe that there must be a substitute for wars, otherwise, the people might not bow down to their leaders. This shows not only the warped minds of the people who thrive in this exploitative world, it clearly shows that for their own selfish gratification, they want to keep the evil system afloat at all costs. As a part of the tyrannical plan, the Anunnaki Remnants intend to clone the human mind and insert it into artificial life forms. Worse still, they spread the untruthful propaganda that everyone is a "god" in the making, appealing to the egos and playing upon the ignorance of those receiving this nonsense. There is even the promotion of biological immortality, supposedly under the guidance of the so-called "Ascended Masters". These Ascended Masters, by whatever name they usurp, are actually Anunnaki. What is actually happening by spreading such outrageous and dangerous untruths is that the people’s thinking is being altered so greatly that the Anunnaki Remnants hope to capture the spirits of the victims and encapsulate those spirits in a "time capsule". It is the distorted belief of the "controller" that if it could imprison these spirits and could clone artificial spirits, these would have no will of their own, but would be totally at the mercy of the "controller" and its hierarchy. While this sounds like science fiction, it is indeed the plan. Having said this, it is imperative that we bear in mind the Anunnaki wear many disguises. They can appear to be a passionate proponent for peace, like Mahatma Ghandi, yet they are the very essence of deception of the Anunnaki. Contrarily, Indira Ghandi is a being of Light. Yet, both were assassinated. Elvis Presley, with his outward appearance of entrapment by glitter, glamour, fame, wealth and other issues, was not really trapped at all. He is an Attas who was here to do a specific job under the cover of a popular singer. His death took place, but not in the way the world believes it did. Like John Kennedy and Abraham Lincoln, Elvis too, was removed by the Dark Force, however, it was the time for each of them to go as they had completed their respective work. It has recently been admitted by China that they execute at least 10,000 people each year, and it is easy to assume that the real figure is far greater. China has always been an important battleground between Light and Darkness, even though Darkness seems to flourish there because China has always been a stronghold for the Anunnaki Remnants. Since the Reptilian Anunnaki Remnants have shifted their consciousnesses to China the increase in executions in that country is no surprise. Likewise, the increased interest in UFO activities amongst the people of China is to be expected. These days, there is a lot of talk about weapons of mass destruction. The real danger of weapons of mass destruction comes from the Anunnaki themselves. Many of these weapons were developed because of the work and theories of Anunnaki scientists such as Albert Einstein. These horrible weapons were developed so the Anunnaki in power can use them to threaten, coerce and enslave the people of the world. This may sound like a very grim picture of the fate of humanity but this time the Attas are here with a whole host of reinforcements. They have come from the future and are amongst us today. As I have stated before, the Anunnaki Remnants are running out of time. Soon, they will be no more. In the meantime, each of us must consciously strengthen our WILL and never give it over to the oppressors. Other countries are going to join in. Syria will be the first. The birthplace (country) of Jesus will tremble. Internal rebellion will occur in the number one on the top (Vulturite side) which will eventually fall and will be humiliated and punished. Bloodshed everywhere will cover the whole earth, streaming far and long. All heads will turn as they witness the horrific end of mankind. Humanity in transit will not rest in peace. The voice of Old will scream out and be heard for miles around. Those who caused the grim will find no place to hide. They will cringe in fear and be breathless. Their hearts will fly out in fear and numbness. Their days of Old will catch up with them. They will cry but no tears will come, they will scream but none will hear them, they will cry for help and forgiveness but none will be given to them. The gnashing of teeth and the tearing out of their hair will signal the end of the bloodthirsty tribe of Aaron. "Mountains" will turn over to crush the evil ones. The mountain of giants will advance in numbers never witnessed before and march towards "Golgotha" and together the wind of fate will gather strength and push eastwards, northwards, southwards and even to the west. The land of Zion will cry and then will be no more. Hosanna in the highest all will shout but there will be none to hear or sing the song "Hosanna, Hosanna." Here are more words of encouragement for those who find comfort in them. I wrote and published this last July. The crop of the serpent is about to be cut down. The meaning of the boulders is about to be known. The purpose of the quest is about to be realized. The meeting of the fortunates will soon commence. Be not fearful of the events. Be ever on the ready. The serpent has ruled unjustly and unfairly. I will soon gather all that are mine.